Have you read Puella Magi Madoka Magica: The Different Story? 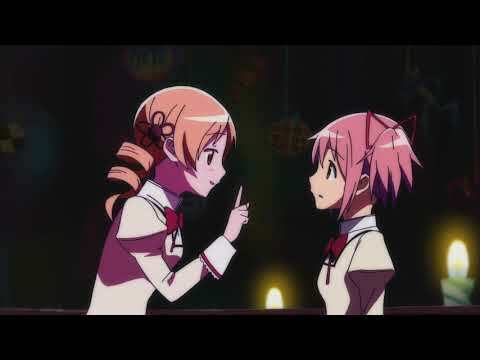 Is "Puella Magi Madoka Magica" your favorito magical girls anime? Have you seen the Concept Movie? Some of my favoritos in the Madoka Magica universe; wich one do you prefer? My three favorito character themes; which theme do you like the most? Elise: You mean to protect that Madoka girl? Yes. Kyoko Sakura: *Jumps and lands on the topo, início of a house* Where are you going? Homura Akemi: The better pergunta is, why are you following me? Did that Wolfe guy send you? I wave, saying "Well, see you later"
in a world without sound; what do you see? I'm searching for the face who will say "see you again,"
a comment was made to the poll: Out of my topo, início 4 favorito characters, which do you prefer? a comment was made to the poll: Which character is mais unforgivable?